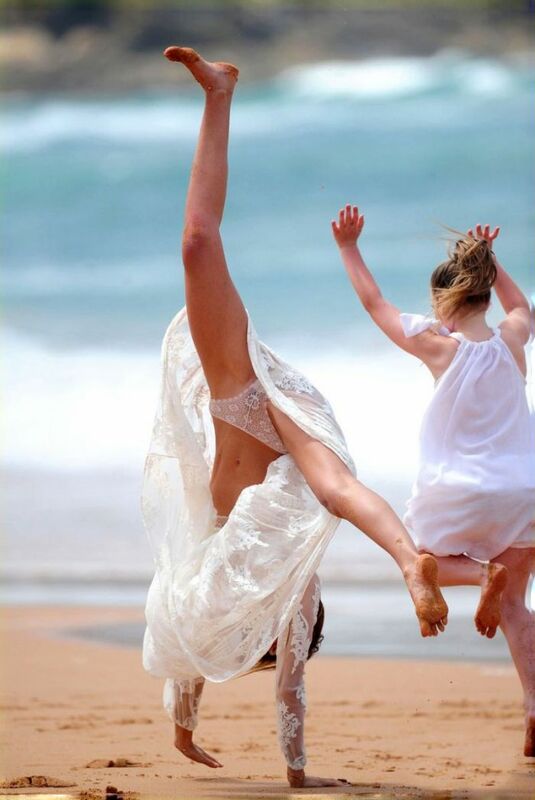 Photos of Miranda Kerr doing cartwheel on the beach. I have always loved wide open spaces ,.,. Not really a gold medal move, luv.